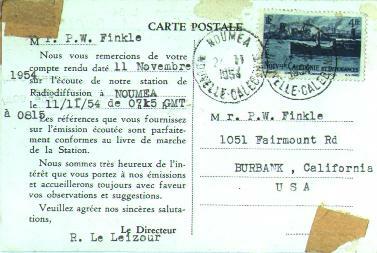 QSL card from the La Voix de la France dans le Pacifique, Noumea, New Caledonia, for a report on 11 November 1954. 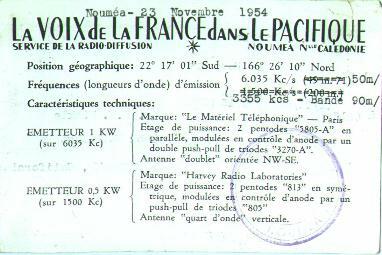 Station was transmitting on 6.035MHz with a power of 1,000 watts. This was a common "catch" from the USA west coast in the 1950s.